Evangelical Lutheran Church in America approves resolution calling on the government to end aid to Israel if it does not stop "occupation". The Evangelical Lutheran Church in America has approved a resolution calling on the American government to end all aid to Israel if Israel does not stop building in Judea and Samaria and "enable an independent Palestinian state", JTA reported Sunday. The aid vote, which passed 751-162, urged church members to "call on their U.S. Representatives, Senators and the Administration to take action requiring that to continue receiving U.S. financial and military aid, Israel must comply with internationally recognized human rights standards as specified in existing U.S. law, stop settlement building and the expansion of existing settlements in East Jerusalem and the West Bank, end its occupation of Palestinian territory, and enable an independent Palestinian state," according to JTA. The resolution also called on the president not to prevent the application of the State of Palestine for full membership in the United Nations and, in coordination with the United Nations Security Council, to "offer a new, comprehensive and time-bound agreement to the governments of Israel and Palestine, resulting in a negotiated final status agreement between Israel and Palestine leading to two viable and secure states with a shared Jerusalem." In the divestment resolution, which passed 821-92, the church adopted a human rights-based investment screen for its social responsibility funds to ensure the church is not profiting from human rights abuses, and mentioned the Israeli-Palestinian conflict by name. It also called for the church to "increase positive investment in Palestine." The resolutions were spearheaded by a group within the church called Isaiah 58, which bills itself as "a group of Lutherans working for peace and justice in the Holy Land", the JTA report said. The Evangelical Lutheran Church in America claims about 4 million members in nearly 10,000 congregations. The resolution comes as Israel and the United States continue to discuss a new multibillion-dollar military aid package. A senior American official recently said the sides hope to reach a final deal soon. 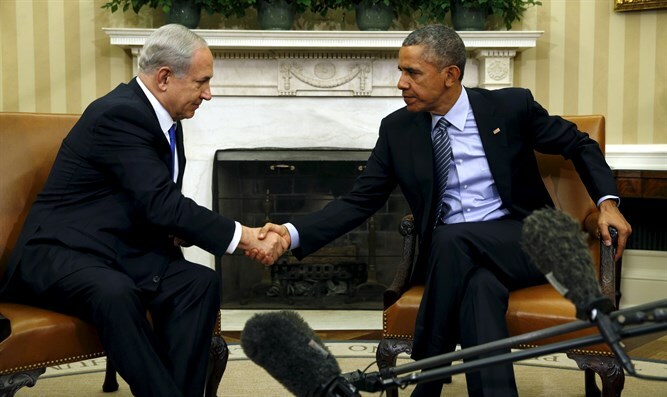 The current defense agreement between Israel and the United States remains in force until 2018, and Prime Minister Binyamin Netanyahu has been urged to accept President Barack Obama’s 10-year military aid package which reportedly includes a total of $145.8 million for Israeli missile defense programs, a sharp drop in financial support. The Evangelical Lutheran Church's resolution also comes following recent criticism by the United States over Israeli plans to build new homes in Jerusalem. The State Department recently used unusually harsh language in condemning plans to build 770 new housing units in the southern Jerusalem neighborhood of Gilo and describing them as “corrosive” to peace. Israel later rejected the international criticism over its planned construction in Jerusalem as “lacking any factual basis”.